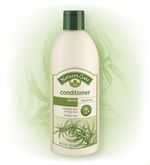 re’s Gate Hemp Conditioner effectively conditions hair to help restore natural moisture balance. Hair is nurtured with essential fatty acids (EFAs) from Hemp Seed Oil and our unique blend of 7 Healthy Hair Nutrients, taming frizz and flyaways. With the renewing properties of Milk Thistle and Elderflower, this conditioner leaves hair silky soft and smooth. Water, Glycerin (Vegetable Derived), Stearyl Alcohol (Vegetable Derived), Cetyl Alcohol (Vegetable Derived), Caprylic/Capric Triglyceride (Vegetable Derived), Benzyl Alcohol, Cannabis Sativa (Hemp) Seed Oil, Panthenol, Hydrolyzed Soy Protein, Hydrolyzed Vegetable Protein, Simmondsia Chinensis (Jojoba) Seed Oil, Borago Officinalis (Borage) Seed Oil, Tocopherol (Vitamin E), Ascorbic Acid (Vitamin C), Ruscus Aculeatus (Butcher's Broom) Root Extract, Sambucus Nigra (Elderflower) Flower Extract, Silybum Marianum (Milk Thistle) Seed Extract, Chrysanthemum Sinense Flower Extract, Orbignya Oleifera (Babassu) Seed Oil, Stearalkonium Chloride (Vegetable Derived), Ascorbyl Palmitate, Hydroxyethylcellulose (Plant Derived), Potassium Sorbate, Citric Acid (Vegetable Derived), Fragrance*, Caramel.